Prime Minister Theresa May spoke with the leaders of a number of Gulf states including Saudi Arabia, Bahrain and Qatar. The Prime Minister spoke to a number of Gulf leaders this evening - the King of Saudi Arabia, the King of Bahrain, and the Emir of Qatar. 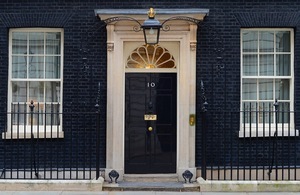 In each of the calls, the Prime Minister expressed thanks for messages of support and condolence following the recent terrorist attacks in Manchester and London, noting that radicalisation and extremist violence was a shared threat. The Prime Minister raised the ongoing isolation of Qatar in the Gulf region, calling on all sides to urgently de-escalate the situation, engage meaningfully in dialogue, and restore Gulf Cooperation Council unity at the earliest possible opportunity. The Prime Minister also noted that Qatar should continue to build on the progress it has already made to address the scourge of radicalisation and terrorism in the region, in partnership with its Gulf allies.